The Lexus LFA is a remarkable car, an impeccably-engineered supercar wearing the badge of one of the most boring brands in the business. Thankfully, Lexus is reportedly planning a successor. LFA engineering boss Haruhiko Tanahashi told Autocar that his bosses are mulling an LFA successor based on the LF-LC concept from the 2012 Detroit Auto Show. Lexus international boss Mark Templin also hinted that a new performance car is in the works, saying it could be a flagship for a planned line of F performance models – analogous to BMW’s M and Mercedes-Benz’s AMG vehicles – but that no concrete plans have been made. The Lexus LF-LC is a luxury coupe with a hybrid powertrain, which produces a total of 498 horsepower, and a chassis made of carbon fiber and aluminum. Lexus actually showed the LF-LC twice, indicating that it does have some interest in putting the concept into production. The LF-LC debuted in red at the 2012 Detroit Auto Show, then was relaunched in blue at the 2012 Sydney show. At Sydney, Lexus added the details about the hybrid powertrain and carbon fiber/aluminum chassis. Either way, the LF-LC seems to have the makings of an LFA successor. Lexus’ first and only supercar has a 4.8-liter V10 with 553 hp and 354 lb-ft of torque. 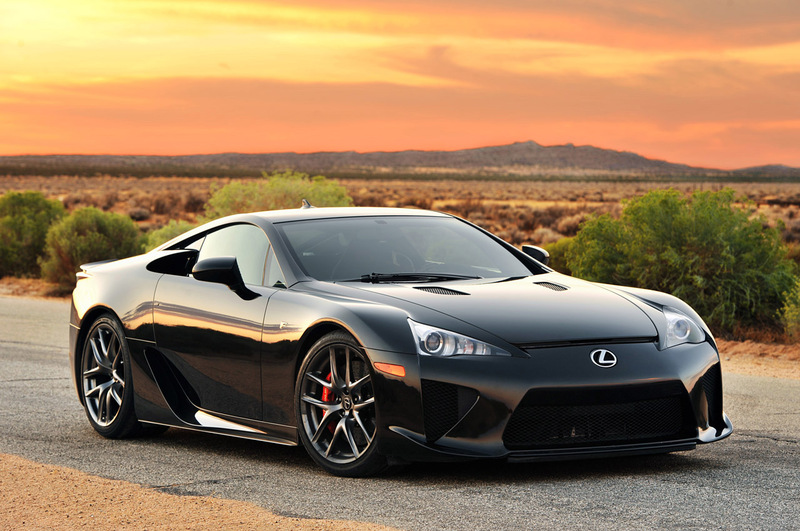 It’s capable of propelling the 3,263-pound LFA to 60 mph in 3.6 seconds, and on to a top speed of 202 mph. Only 500 units were produced. Those numbers seem like they belong to a Ferrari, not a Lexus. Unfortunately, the same could be said for the LFA’s price tag. With an MSRP of $375,000, it was expensive even for a supercar. Because of the bespoke production process, Lexus also reportedly lost money on each car it made. The LFA’s Achilles’ Heel may not be a problem for its replacement. Lexus engineer Tanahashi told Autocar that the new car would be cheaper than the LFA, but still significantly pricier than the most expensive RC coupe. If the new car is anywhere near as mind-boggling as the LFA, it should be worth the price.